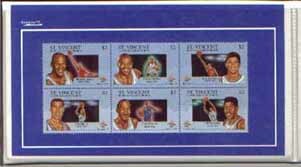 RARE 12 stamp 1992 Barcelona Olympic Basketball Team set. Comes in Protective fold-up folder. Features all 12 players.